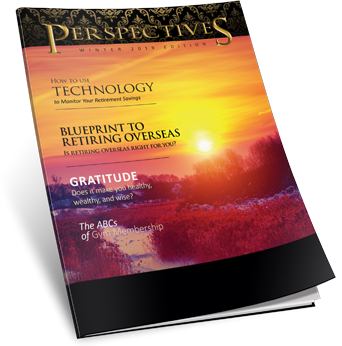 We hope that you enjoy the latest edition of our Perspectives Newsletter. In this edition, you will learn how to use technology to monitor your retirement savings. You will also discover several timely articles featuring fun filled advice and important information that will help make this winter more productive and enjoyable.